This gracious historic community, located just one mile east of downtown Indianapolis, is recognized as Indianapolis’s first planned residential suburb. 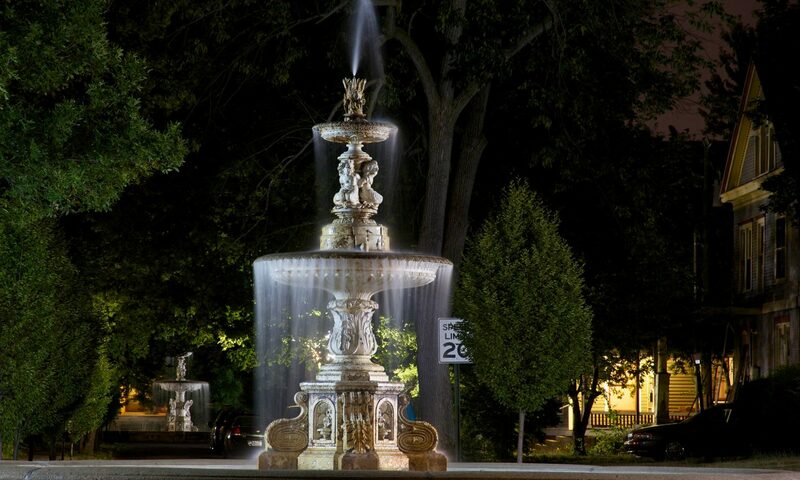 In a beautiful park-like setting, you will find fine examples of lovely Victorian era homes, esplanades with fountains and statuary, and an ambiance that is unlike any other. Woodruff Place was included in the National Register of Historic Places in 1972. Financial support comes from our fundraising activities (such as the annual Flea Market), monetary grants, and resident contributions. Every contribution is important, and the success of Woodruff Place is the result of dedicated neighbors who have invested in the belief that this unique place can continue to be a vibrant historic urban neighborhood.